Monday 27th May 2019 – A family fun day out! A family fun day out! It’s going to be another FANTASTIC Fun day! We are ready for the Day so come and join us. A Digi – Wall for climbing – watch for the lights – can you beat the wall? Take a turn on a go – kart. Have a go steering a model car! Monday 27th May 2019 – A date for you to remember! All ready for another great Fun Day. Buses booked and lots of new entertainment. This year a new venture – a go-karting circuit for adults and children. Watch this space for more details……. A few memories of the day. Mayor of Broxtowe, Cllr. Derek Burnett, opens the event. Not just for the children! The racing Room – very popular. First sighting of the RAF Hurricane. What a glorious finale to a great day. … for their generous donations and contributions. Without these contributions the day just would not happen. 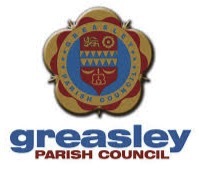 Greasley Parish Council for a donation and the use of the Sports and Community Centre for the day. …the sun came out and the crowds came in. This was the best one to date…helped by the fantastic flypast at the closing of the event. The Mayor of Broxtowe, Cllr. Derek Burnett and his wife, opened the event, escorted by the Stormtrooper and the music from Star Wars played by the Nottingham Youth Jazz Orchestra. Also in attendance was the Chair of the Greasley Parish Council, Cllr. June layton. There was plenty to entertain both young and old. The Climbing Wall was a firm favourite as were the bikes powering the Scaletrix cars. The ever popular Dog display amused the crowds. The two choirs, Rock ‘n Soul Singers and the Atmosphere Glee Choir also gave superb performances. The return of the Wobbly bikes saw many attempts to master them, and caused much laughter. More classic cars attended the event some of whom went for a WW2 theme. The red London buses ferried people to the other venues; the timetables worked really well this year and the venues reported record crowds. Once again the Scarecrows through Moorgreen provided a bit of fun as people walked from one venue to the other. And the sun continued to shine…. Colliers’ Wood hosted the mining cave and the Friends of Colliers’ Wood provided information and activities. Then at 2.33 precisely the engines of the Hurricane were heard. It circled around the event 3 times, dipping his wings on the last lap, before he flew towards Langley Mill. Whilst the band played appropriate music. A wonderful sight and a great finish to the day. 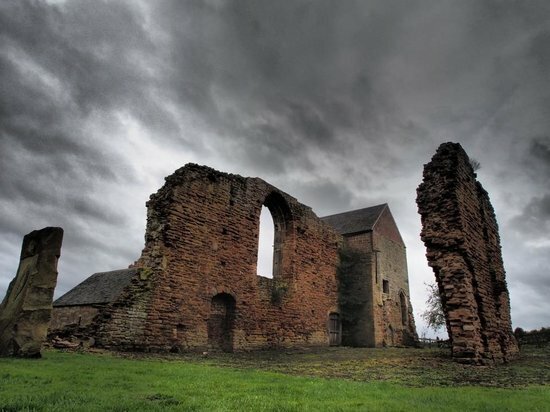 The Hurricane was also seen over the other venues – Greasley Parish Church, Horse and Groom and Beauvale Priory. How can we top that…we could try again for a Flypast for next year! Our thinking caps are on and we have already different things up our sleeves. Just 2 days to go…..
All ready for the big event. Weather is looking good for the day! Miner’s cave will be set up at Collier’s Wood from 10.00am – come and have a go. Visit the Friends of Colliers’ Wood marquee. As well as the timetabled events there are loads of other activities to try; stalls to browse around and refreshments in the Parish Hall. Greasley Gathering’s own ‘Pick – a – Bag’ for adults and children can be found in the Parish Hall. The Racing Room is back and this year a Climbing Wall. The Wobbly bikes are back too – see if you can master them! See the line up of Classic cars: ride on the red London bus through the Parish. Walk the Scarecrow Trail through Moorgreen. Stop off at Reuben Shaw’s for a drink. See the entertainments provided by the Horse and Groom, Queen’s Head, Royal Oak, Hayloft, New Inn and Forester’s Arms – there’s something different in each pub … live music, karaoke, BBQs, bouncy castles… some starting early, some a little later. Ride on the bus and stop off at Greasley Church for a visit and its Craft Fair. So much to do…so much to see….. and then the Flypast at @2.30pm. A great day for the family to enjoy. The RAF have confirmed that they are able to have a Flypast over the Greasley Gathering, subject to conditions being right – really exciting as we tried last year and were not successful. Also new this year is a climbing wall which will be based at the Greasley Sports and Community Centre and the Miner’s Cave at Colliers’ Wood. Back for a second year is the very popular Racing Room -where you pedal a bike to make the Scaletrix cars race round the circuit. If that is not appropriate the Wobbly bikes are back for you to master. A bus time-table will be displayed on the buses and at the bus stops to ensure buses aren’t missed. Please be aware that the buses will not run after 5.30pm. We would also like more classic cars, so if you know someone with a classic car get them to bring it on the day. Not long to go, so make sure you get the family together and come and have a great time. Don’t forget – admission is FREE and the bus rides are FREE. Watch out for the posters….